Today, 50% of the world’s apple production occurs in China, while American apple production is a little over 5%. 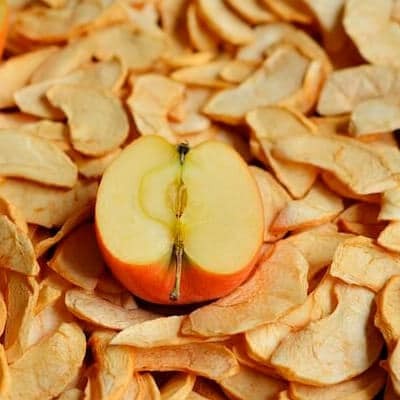 The health benefits of dried apples are mostly in their fiber content. A great source for both soluble and insoluble fiber, dried apples can’t be beat for helping to support a healthy digestive system.